From weaning to retirement, this forum covers all aspects of behavior and training; from basic commands to advance field training. Ask questions, or share your experiences and techniques. Just run them by themselves. How old is your dog? Does your dog have any experience at this time? What's you relationship like with this dog? Can you trust it, or better yet does it trust you? Some of the best dogs that have ever lived learned their trade by running loose.If you can get him started and you have a place that is safe to turn him loose and run an his own that is about the best you can get.It dose tend to make them hardheaded and hard to control but once they get going good you can always kennel them and a e-collar will get them back in control. If they cant solo i aint keepin em. shouldnt need anything but a rabbit and let him on it. big mike 50 wrote: Just run them by themselves. The dogs I've started have all started solo. 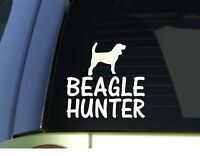 I think it's the best way to determine if the dog has the traits and skills you want. I don't know that letting the dog loose for it to hunt at it's leisure is the best way, but it sure seems to work. I start my dogs like this: first a wild rabbit in a cage to really get him going, then released so I can see how he does his first chase, followed by a dead rabbit on a string that I'd drag across the field so the dog could practice searching out a trail- first I'd let him see me dragging it, the next time I'd show him where to start, finally he'd have to find the trail and follow it to it's conclusion. In that time period I'd trap a couple wild rabbits and release them so he could get some sight chases in, to give him a reward and to keep it exciting. All the dogs I've had have loved dead rabbits on a string, but when they were given a live bunny, they'd light up and were extra amped. I'd never seen a dog run down a healthy, unharmed and rested bunny until the third one I let go for my dog Blue, took about 200 feet or so, but it's really something to see! Once the dog is to the point where you can be hunting with him and he'll pick up the scent by himself, open his mouth good, and work the trail in some fashion- he doesn't have to be good yet- then I'll just let him run. You don't have to let your dog run free every day or anything, but if you can take your dog somewhere he's almost guaranteed to find a rabbit and let him go for a few hours here or there, I'd go far it. Before I lived where I do now I'd take them to my grandpa's old farm, drive back to the old dump amidst all the briars and junk and let them go. I'd usually sit in the truck and listen until I'd hear him open up and once I knew he was on a trail I'd drive back up to one of my aunts or uncles (who split the property after my grandpa died) houses and hang out there for the afternoon. The dog would always come back eventually. Your goal isn't to have a dog that can run solo- all dogs can run solo. 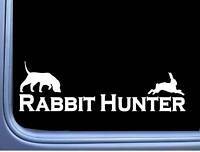 Your goal is a dog that LOVES hunting rabbits more than anything in the world, that loves it so much it's dreaming about it (ever see a beagle have a rabbit dream? pretty neat, about the only time I could ever be sure what was in my dogs mind- check youtube, I'm sure there are videos of rabbit chasing dreams). Even my fat old Daisy who is about 10-15lbs over her fighting weight, with fatty cysts all over her body) can't be let outside off a leash because within two seconds she'll be out back chasing rabbits, and unless you've got an e-collar on her or you've shot the rabbit she was chasing, she's gonna keep running. When I let most of my dogs go I expect that they'll be gone for three or four hours. The last time she went she was gone for 8 hours. And that's all hunting, I can hear her out back, bawling away. Last winter I was leashing her and another dog outside and I slipped and accidentally let her go. This was at maybe 6, 6:30. it was still dark out, and most of the snow we'd gotten was melted or melting, and it was a sort of rainy misty foggy day, the sort of day crows and ravens seem to love. I tried to get her back at first (no e-collar on) but figured she'd show up soon enough. Then I assumed she'd come back at sunset. Then I figured supper time. Around 8pm I decided to count her as lost- though every hour or so I'd hear her open up again and after 45 minutes or so she'd lose the rabbit and go quiet again. I'd left the door to the porch open, so she could at least come in a little if she showed up. At 1:30 in the morning I was woken to the sound of someone moving stuff around out there. She had knocked down a couple coats and was making herself a bed out of them! I figure she was hunting for at least 18 straight hours. The next day she literally couldn't open her eyes, they'd been so beaten by briars. She had cuts on her belly from them, she could barely move- I had to pick her up, she couldn't jump on the couch. She slept almost continuously for the next two days. You want a dog that loves it that much, that they're always ready to go, that start freaking out of they see you getting a gun out, a dog that gets hyper and excited if you accidentally use the "H word" in the house.